24k gold vermeil links necklace by Herve Van Der Straeten. 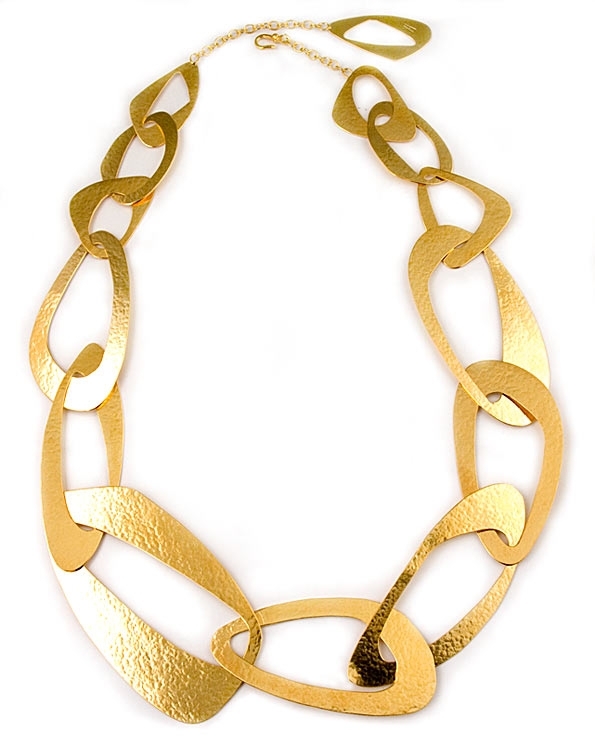 A unique necklace made with intertwined asymmetrical shapes. A dramatic look that will add pizzazz to any outfit. Also perfect for a gift. Length: 72cm / 28.4 ".